Ever wonder how to build an archway out of stone? 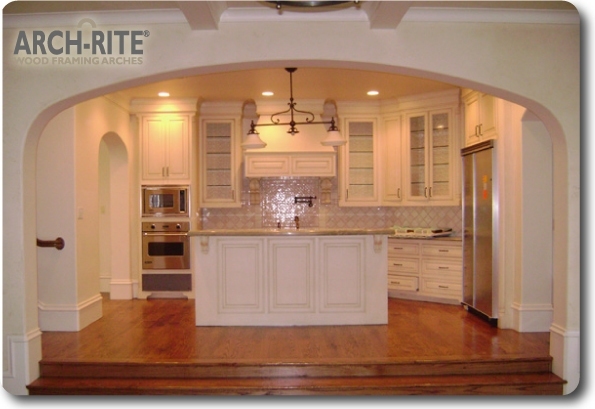 Well, the Arch-Rite Arch kit will help you achieve this beautiful feature for any interior application. First step: Frame your opening to your desired dimensions and then order your prefabricated archway to give you the best quality radius to apply your stone too. 2nd Step: Drywall the opening. Use 1/4″ drywall for tight radii and 1/2″ for softer radii. 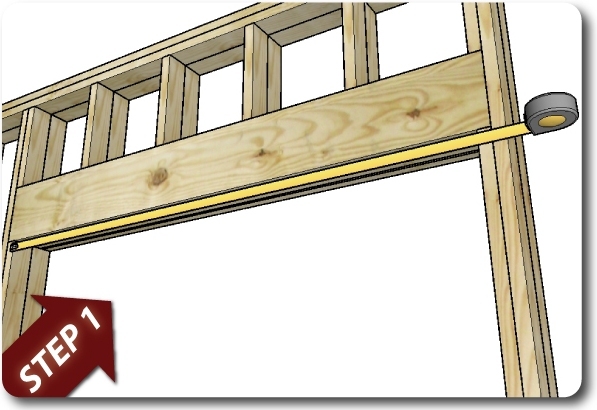 Remember, it is always easier to drywall an archway when you are using the flexible line of drywall. If you do not have access to flexible drywall, simple wet the back of your drywall before using. 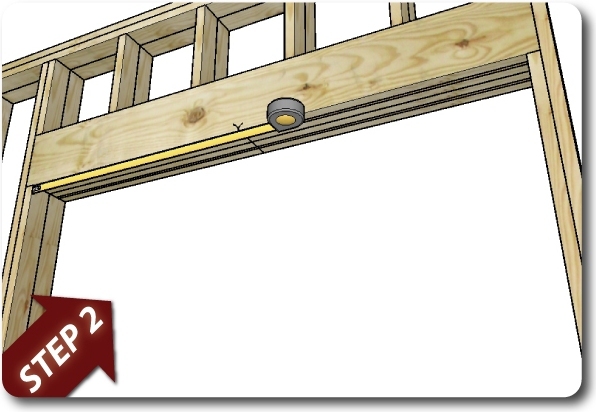 This will allow the drywall to bend without cracking, or falling apart on you. 6th Step: Use manufacturers installation instructions when setting the stone. Apply thin set to your stone and place on your arched opening. *Tip: Use nails and wires to secure the stone when they are placed upside down for safety reasons and peace of mind..
7th Step: Fill in the gaps between the stone with mortar. Always start from the top and work down. *When building stone archways for interior purposes, mortar can have a tendecy to brush off and leave a sandy mess behind. If your joints are tight enough, sometimes grout will give a better finish without the mess. 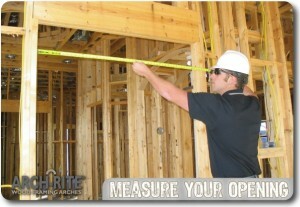 Measure the width of your opening to the nearest quarter inch. 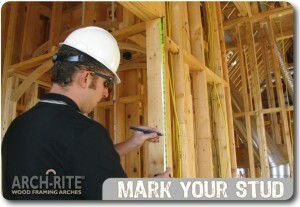 Then measure and mark down from the header along the stud the appropriate rise as indicated on the Arch-Rite Archway. 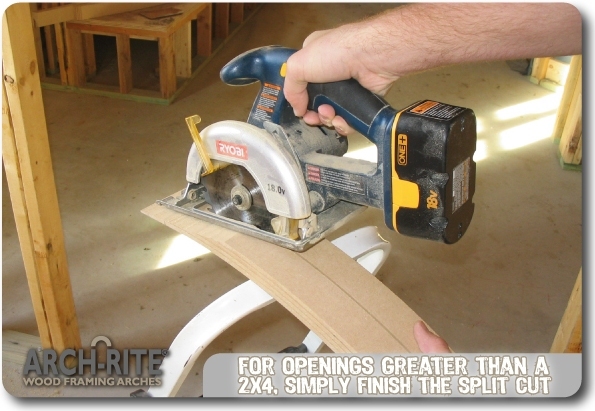 For an opening deeper than a 2×4 wall, simply finish the “split cut” on the archway. 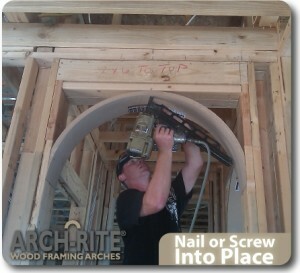 Nail (or Screw) the archway to each stud and to the header of your opening. That’s it! 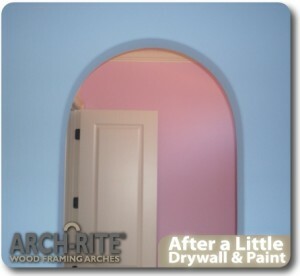 Remember, you can use the arch as a template for cutting your drywall after it is installed. We all should know to leave the hard work and precise jobs to the professionals, but where we can accomplish the same task with little effort and for very little cost, we should hop on the opportunity to do it ourselves. 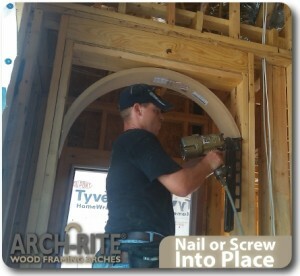 One example of a job that most people can achieve is putting in a simple archway into their home. Archways are popular and can transform any entryway / doorway into a beautiful architectural appealing opening. Just like with any job, there are tricks and tools to make the job easier. 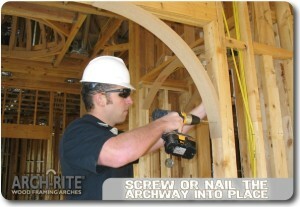 For building an archway, the Arch-Rite Arch Kit is this trick! 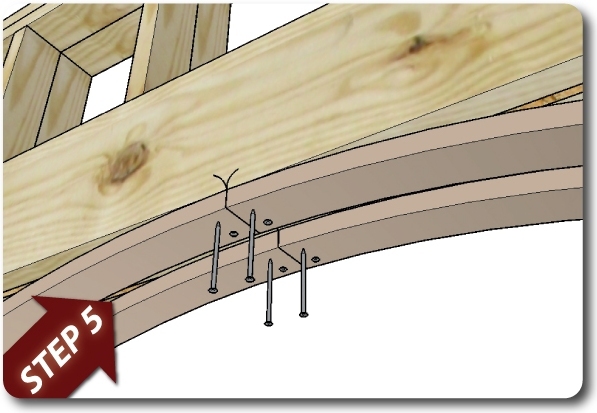 The Arch-Rite Arch Kit ships directly to your house and is ready for installation as soon as it is delivered. All you have to do is pop it out of the box and simply nail into place. Let’s go over the simple steps to give you a better understanding. 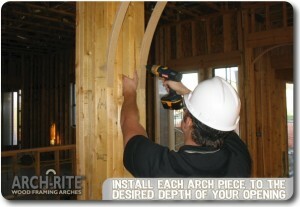 Simply Measure the Width of your opening to figure which arch you will need to order from Arch-Rite. 5th Step, Nail or Screw each arch piece. 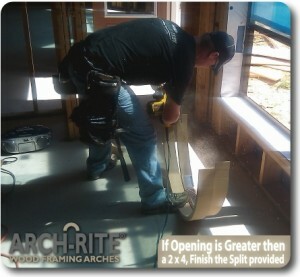 One piece should run flush with the front of your opening and the second should run flush with the back of your opening. 6th Step, That’s it! You are Finished! Ready for drywall. So next time a professional stops by your house you can let them know you put that arch up in 5 minutes. You will have them scratching there heads and wondering in amazement! 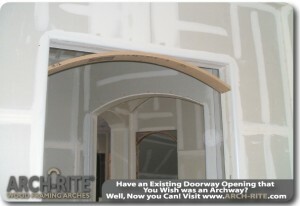 Arched Doorways l Easily added to any new or existing home! 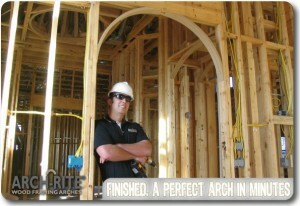 Arched doorways are very common in new home construction and we see various types of these archways being used. Archways in between doorways are usually Half-Rounds (half of a circle), Ellipticals (comprised of 2 different radii) or Eyebrows (segment of a circle). These arches all give a unique and elegant feature to any home. The eyebrow arch is the most popular of the 3 different archways and may be found in many new and existing homes. The reason for their popularity is due to 3 main aspects. The first is due to the subtle rise of the arch. This subtle rise gives a home a softer more contemporary look and feel. 2nd aspect of their popularity is that it matches many of the more popular arched top windows. Keeping a theme through out a home is very important, and matching your arched doorways to your windows is one great way to do that. Lastly, eyebrow archways are easily added to any doorway and are not constrained by the arch’s rise. The rise fits the customer’s needs. For example, if I have want an arched doorway and my header for that doorway is 8’-0” but I only want my archway to drop 12” to keep at 7’-0” off the floor then an eyebrow arch is the perfect choice. With eyebrow arches, the customer has the ability to adjust the rise if needed. 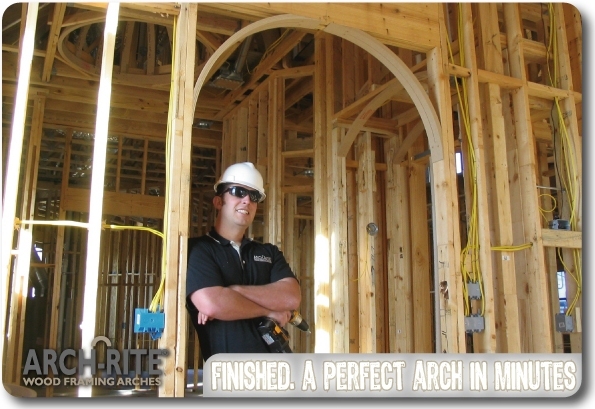 Whether you’re adding an arched doorway to a new home or an existing home, Arch-Rite has the right Arched Doorway Kit for you! Have you ever thought about sprucing up your home by converting your standard doorways into beautiful archways? If you have, then I bet you wondered what was involved in building archways. This once daunting and costly task which used to be limited to skilled carpenters has now become a DIY project. 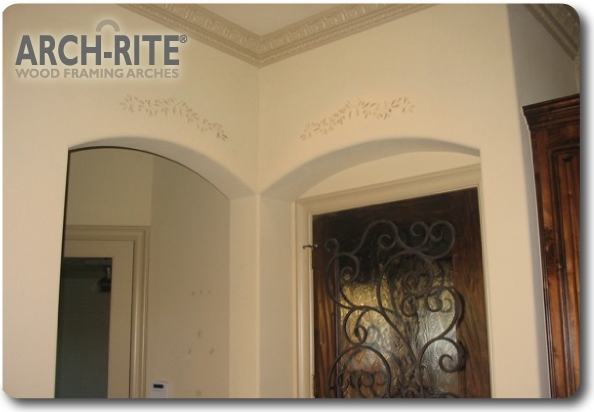 In a few easy steps you can affordably, quickly, and easily transform your doorways into beautiful archways with Arch-Rite. 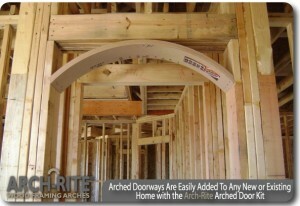 Archways from Arch-Rite are extremely affordable. For just $29.95 you can transform 3ft doorways into beautiful archways. We are by far the most affordable choice on the market. There are a few other prefabbed archways, but the others are very costly, at a minimum double our cost if not 10 times more expensive. 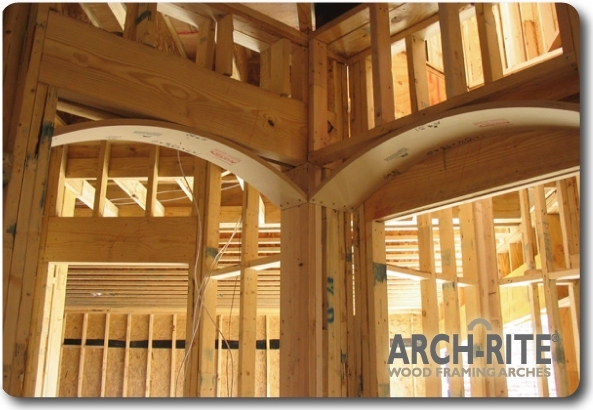 Furthermore, we are the only provider of wood framing archways. This might not mean a lot to you now, but this is very important. The reason homes are constructed using wood and not metal or plastic is due to the ease and cost. 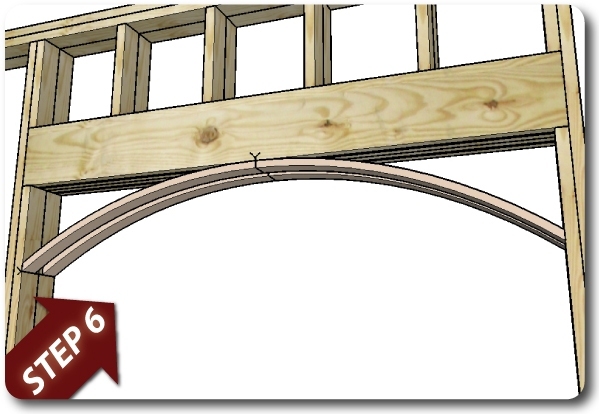 Because we our the only manufacturer of wood framing archways due to our patent, we are the easiest and most affordable solution for your archways. 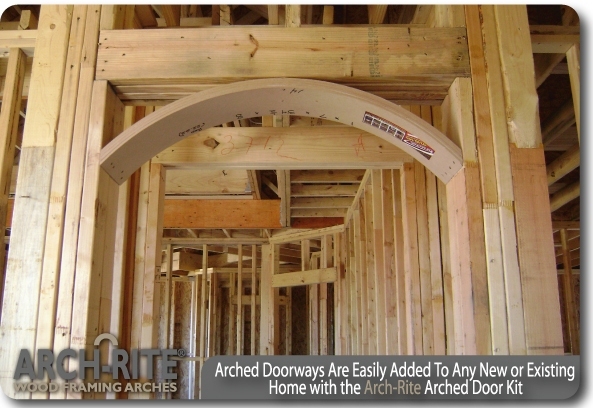 Archways from Arch-Rite are quick & easy to install. 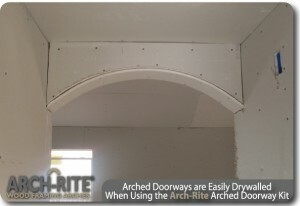 Most DIYers can install our archways in than 10 minutes, in most cases sooner. See how easy it is for yourself by reading our 6 step by step instructions in creating your beautiful archways. Step 1: Measure the width of your doorway. Step 2: Mark the center of the header. Step 3: Mark down from the header your desired rise. 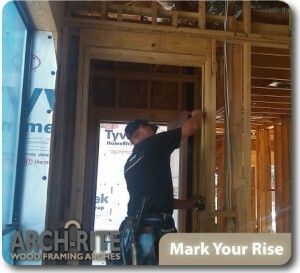 Step 4: Align each pre-cut half of the archway to the rise mark. Either nail or screw into place. Step 5: Nail or screw each half into the header. Step 6: It’s that Easy! 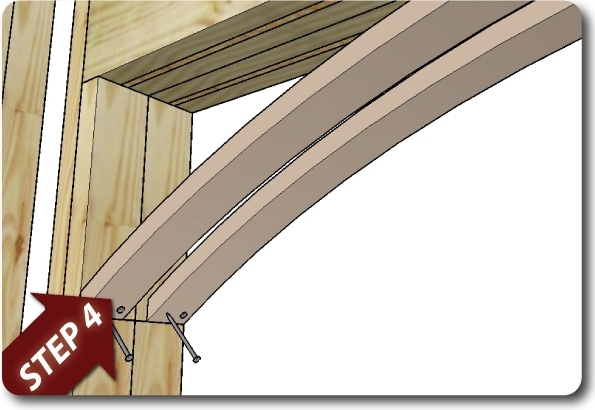 Remember, now use the arch as a template to cut your drywall. Adding archways to your homes is now a DIY project! 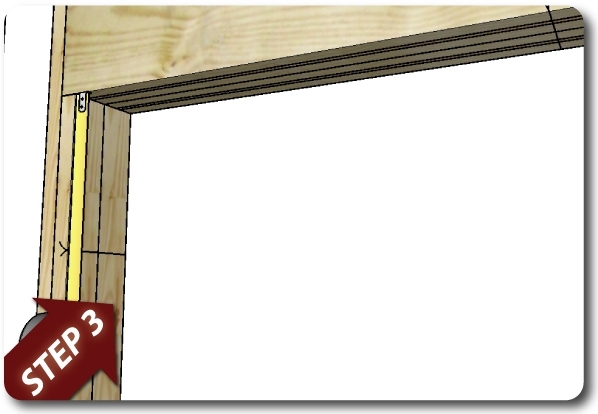 It is a great way to modernize your home and eliminate those hard lines created by standard doorways. Now that Archways made easy!